In a world increasingly dominated by speed and complexity these monochromatic images recreate meaningful moments from the past. Nicholas Steiner’s book of black-and-white photographs America in Black and White captures poignant moments from years past. His images may evoke a variety of emotions: sadness--over what was and no longer is, joy--as in recreating memories of childhood, or simply pleasure from the artful rendering of light and shadow. 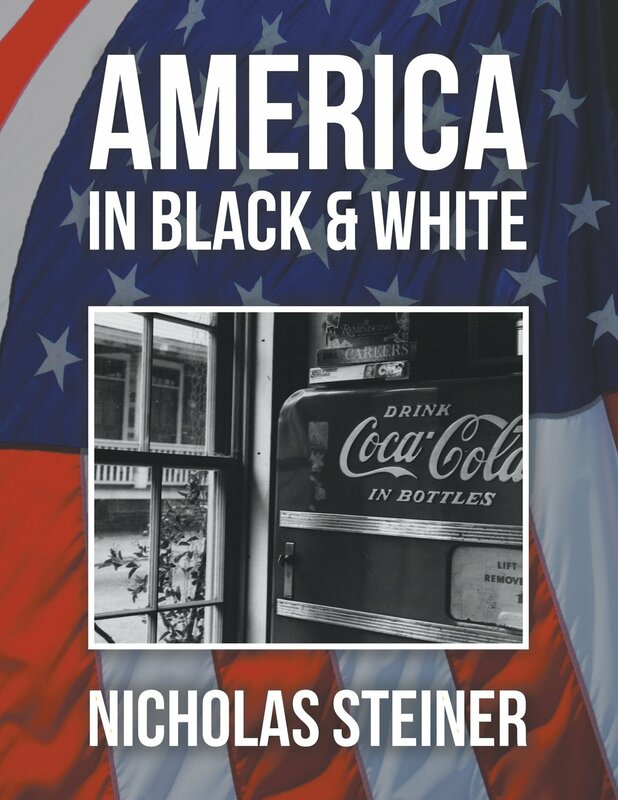 America in Black and White is available in selected online bookstores. More information on Dr. Nicholas Steiner and his work is available at www.nicholasvsteiner.com. Dr. Nicholas V. Steiner has been passionate about photography since 1950 when he acquired his first camera at age 15. Among his photos over the years, the black-and-white photographs from that period are the ones he loves most. Aside from being a photographer, he is a published author, a retired internist, and a cancer survivor. He was a New York–based board-certified internist until age 50, when a metastatic stage IV melanoma prompted an early retirement. He chronicles these experiences in Unforeseen Consequences, his memoir where he describes his against-the-odds recovery. He also details his experiences in a military hospital in Beijing, China, where he had alternative treatment for prostate cancer, published as his second memoir—Lifeline.